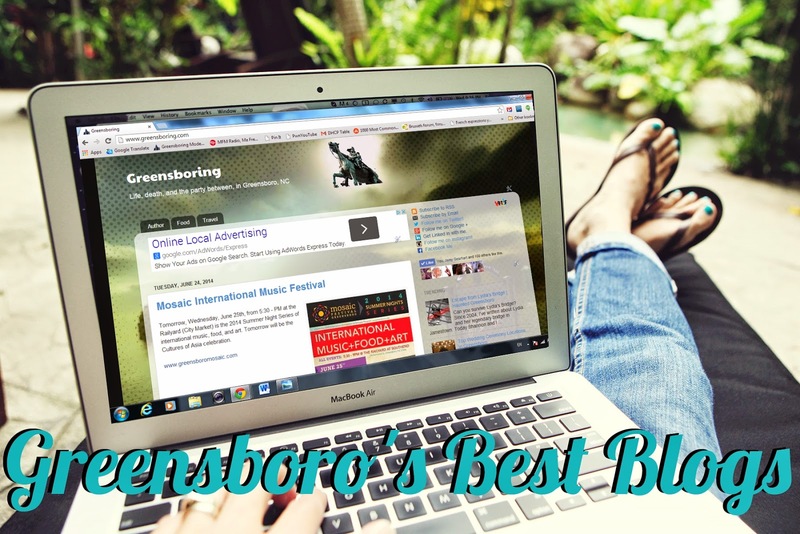 Greensboro's Finest Blog and Forum Since 2006. Blogging once was a very popular thing in North Carolina. Greensboro, nicknamed Blogsboro by the Los Angeles Times, called the online craze our "second revolution".Things have changed, bloggers have come and gone (Jeff Martin, David Hoggard, etc). A few of us have stuck around. I've been blogging in some form or fashion since 1999, but didn't really join the local community until around 2006. Something I've thought about lately was that I should compile a list of local (quality) blogs online. Roch has been running Greensboro 101 (an aggregator) for sometime, but it's become convoluted in recent years with non-blogger content, and excludes many great blogs (like Greensboring). I'm not sure why (it used to be on there), but I'd love to see it return to a blog only platform. Greensboring became so successful over the years, the site was split off into two other major blogs which spawned two books: www.eatflylove.com (a blog on travel and culture), and www.noshcookbook.com (a food and recipe blog). Today, these publications remain very successful, but they wouldn't be here if it wasn't for other bloggers. So with respect, I'm going to list the people I read on a daily basis, the bloggers and local web celebrities I deeply respect. You can't mention blogging in Greensboro without Ed's name coming up. Ed is a reporter, writer and editor for publications like Forbes and Wired, and who also consults. His dog Luna is adorable, and Ed is very pleasurable to meet in person despite his reputation as Greensboro's Blogfather. Billy is one of the hardest working bloggers I know. Originally famed for being the "blogging poet", he also went on to build a airplane from a bicycle that tormented local police officials as he road it on the streets of Greensboro. He is an avid motorcycle fan, author, an eco-blogger, and an overall great guy. 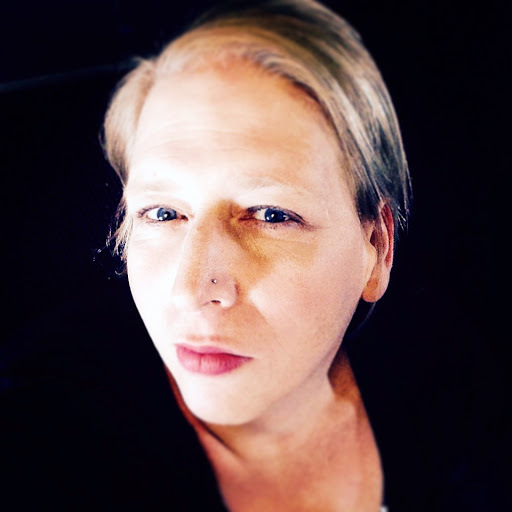 Sue doesn't blog all that often any more (her last post was almost a year ago), but it would be a huge mistake to not to follow Sue, a self-described "tech mama" who demands her children call her "Dr." and who owns the oldest woman owned technology company in the Triad. She's always helping others and is an integral part of Converge South, and local blogging. Danielle is always around. On the news, online, and always on social media. She keeps me motivated, and always keeps me thinking. Danielle works with her husband Brandon at the Experience Farm, a branding and marketing agency. I once met Barbara at summit of bloggers at Table 16 in downtown Greensboro. She's been consistently blogging the local food scene for years. Barbara describes herself as an eco-feminist tree-hugger who enjoys bird watching. Former editor of the New and Record and now a blogger and instructor at UNC, John is now free to join the corruption of bloggers everywhere who are often considered the mortal enemies of print journalism. While I'd love to say "welcome to the Dark Side", John has been avidly committed to local blogging for sometime. Unfortunately, I don't think everyone has always agreed with him. If only his students knew they could still buy John Robinson as Nathaniel Greene buttons. Lex describes himself as the last sane Republican coot, and was a staff writer for the News & Record. He was one of the earliest bloggers (2003), and an author. One of the bloggers I've read over the years started out as a visitor to my blog. She chronicles her life and family online through their adventures of living in the Piedmont Triad. As Headmaster of the Jedi for Universal Understanding, she is always a joy to read. A self described ombudsman for Greensboro and former mayoral candidate, Roch has always been a part of local conversations online. Roch developed an aggregator of RSS feeds (linked to above), and gave me great advice when I went to learn some basic PHP skills. 10. Ben Holder: The Troublemaker. Considering recent local headlines of Fecund Stench, Ben's troublemaking may seem a bit tame. However, Ben has dug up more documents and police records then anyone I know. This is one blogger you want on your side as he works to "fight blight and bring neighbors back to the hood". Gedeon is a foodie, graphic designer, sci-fi fan, and a self-described cancer survivor and geek boy. His blog is always interesting, and always visually wonderful. Cara is a homeless advocate and blogs about her ministry efforts to serve the homeless and hungry in Greensboro. Cara maintains an updated list of free meals in Greensboro where those who are hungry can grab some grub if they can't afford it on their own. This organization is a non-profit think tank for truth, freedom, and the future of NC. Their blog is timely and news worthy, though I'd love to see a more complete list of blogs under their blogroll, since it's a foundation blog representing the area. The blog appears to be written mostly by Sam Hieb a local freelance journalist. This blog is written by individuals calling themselves Mackie and Ryan, but that's all we know. It looks promising, but hasn't been updated in a while. Another anonymous blog, from a local developer. My guess is it is Marty Kotis. If it is, then Kotis and Jeff Martin (aka Fecund Stench, a former Greensboro blogger) became entangled in a public drama when Kotis and Jeff quarreled outside a plus sized women's clothing shop. I swear I didn't make this up. 16. Dr. Joe Guarino www.triadconservative.com This blog focuses on conservative issues in culture and local politics written by a practicing physician. Now I'm certain there are blogs that I've missed! If I did shoot me a line. If you're starting out blogging in Greensboro, send me an email too (it doesn't hurt to give me a shout-out with a link either!). IMHO , Triad Conservative ( Joe Guarino ) deserves at the very least an honorable mention. 10 Greensboro facts that will blow your mind. Copyright 2015, Liv Jones. Picture Window template. Powered by Blogger.